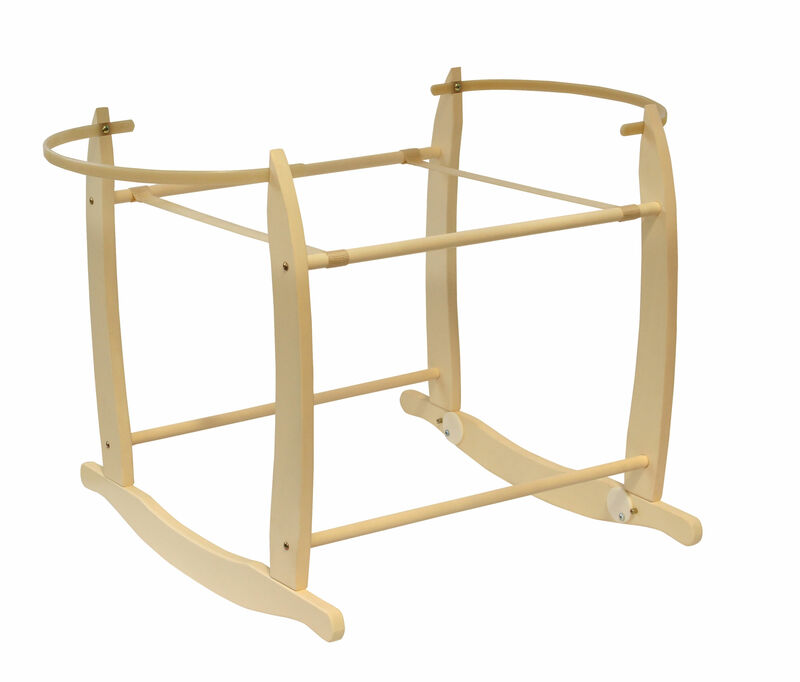 This Clair De Lune deluxe wooden rocking stand accommodates a range of moses basket sizes and is perfect for use next to your bed during the first stages of infancy. The rocking stand has a gentle side to side rocking motion which will help baby drift off into a peaceful sleep, alternatively it can be made stationary with the “stopper” discs supplied. Very happy.. worth for the money ..